It warmed the cockles of my heart to see a player emulating the tactics I used in my day. Don't get me wrong, Josh Hunt still has a long way to go. I would've slipped the fingers into Betts's eye sockets while he was dazed and on his knees. And made sure the hobnails in my boots were driven into Bettsy's arm at least until blood was drawn. But top marks for effort Josh Hunt. No-one can be disappointed in someone who at least tries. Chris Scott can be well pleased. You've got to remember, we're talking about a player in Josh Hunt, who retreats from the slightest of contests, not when he's running with the flight of the ball, but running away from those very players who have the courage to do so. Wayne Carey was quoted as saying he was more scared than Josh Hunt when about to skydive. Even that is debatable. For Josh Hunt to make a stand (on Eddie Betts) like he did Friday night, took an enormous amount of courage and resolve for one so challenged in that area. Not only that, he then was so modest he denied it was his intention at the time to pin Betts to the ground with his boot after Betts had received a head knock. This is the sort of modesty that makes champions! No people, this is text book 60s footy of the highest order. Josh Hunt should be commended and glorified by the AFL for bringing back disreputable footy, and some questionable character, into a Demetriou-sanitised league. I'm not sure what bus Brett Ratten is on, complaining about the MRP's decision on Josh Hunt. They got it 100% right, giving Josh Hunt a token fine. In fact the AFL should've given him a bonus. Stalwarts like Cowboy Neale would be ropable if he got a week or 7 for the act. Josh Hunt, I applaud you. I've watched this tape over and over, and it just gets better and better every time. Yes. Josh Hunt. What a cunning stunt. Read on below for this week's Uglybustard Tipping Results and Spot Prize #2 for the year. 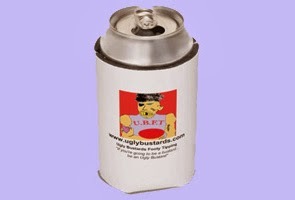 Now for for this week's Uglybustard Tipping Results and Spot Prize #2. Mythbusters Narrator Robert Lee has picked the perfect round, and the exact margin for the 2nd week in a row, this time by going for all away teams. If anyone wants to copy his tips for this week, I believe he is tipping alternate away / home. If he gets another Golden Whopper it will be time to start taking urine samples. Although Rob topped the tipping for the round with a full card, as a late entry this year he is not in the prize pool so didn't win the Jackpot. But the jackpot did go off, won by the boot, who was extremely lucky, having forgotten to put his tips in, he got the first 4 results by default as away teams won. Then he picked the 2 no-brainer pix in the Hawks and the Pies to complete the card. Well done boot, you take home the $30. Maybe set the alarm clock this week. The top 6 have made a small break on the Tipping ladder as we approach the bye weeks. Longee remains on top for the sixth consecutive week but it's getting hotter each week. He is level on 72 points with Elmo and AceUp74, who both made ground tipping the Swans. One point back we have Uglybustard, Craig Nettlebeck and Griggsy tied on 71, filling 4th to 6th. Behind Longee there's lots of churn from 2nd to 6th, Griggsy dropping 4 spots from 2nd, obviously losing focus as he gallivants around Northern Queensland. No movement in the top 5 in the Margin Comp, David Feck'Em out in front by 17 pts in front of Rod Carter, who has another 17 pt break to Longee. Then it starts to bunch up a treat, with Uglybustard, BecCG and Pete Connor within 16 pts. The West Coast V Carlton game could be a tricky margin game with the stormy weather and we could have a bit of movement at the station. Rotten Ronnie Andrews has drawn level with Uglybustard on 126 pts in the Triva Comp, but the latter has one round in hand. Gonadbreath leapfrogged Griggsy into 3rd place, and #Car17on is bringing up the rear. Which of Eddie Betts's hands did Josh Hunt stand on? First correct answer to arrive in the Uglybustards inbox wins. *Previous winners need not apply. Those not in the Prize Pool are ineligible. Uglybustard's decision is final and no correspondence will be entered into. Good luck with your tips in Round 12. The official results are in. The winner of the 2nd Uglybustards Spot Prize was (unfortunately) gonadbreath, who beat Arnold Layne by a whisker. What'll it be gonad, the double pass worth $50 or the pen which is priceless.